On average, nearly 40 million Americans or about 15% of the population move each year. Whether it is due to a job, school, the military, cheaper rent, weather, divorce, retirement etc. No matter what size move you have we will provide personalized services tailored to meet your needs. 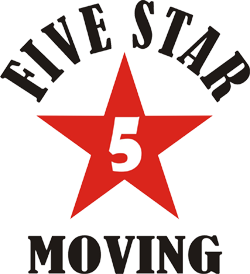 Five Star Moving prides itself on offering the most competitive rates that Las Vegas has to offer and our team of skilled, experienced, full-time movers will outshine the competition (and help keep your relatives from pulling muscles or breaking valuables!). We have no hidden fees and DO NOT charge extra for stairs, moving blankets, shrink wrap, long carries, gas surcharges, or weekends. Why roll the dice when selecting a moving company? It’s your life they’re moving. What separates us from our competition is level of quality. What are your belongings worth to you? We know the ins and outs of moving and how to move you safely. 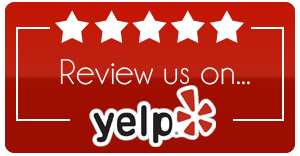 Don’t just rely on your friends or family to help you load or unload your next move, call the Five Star Moving team to provide skilled, reliable moving services at an affordable cost. 3 movers = $120 per hour (3 hour minimum) Time is rounded to the nearest half hour. Add value to your upcoming move with exclusive moving discounts for Senior Citizens (over 65), Active Duty, Reserve, or Retired Military (must show a valid military ID), Firefighters and Law Enforcement.